Tegan and Sara kicked off the first night of their North American fall tour in Vancouver, BC last night (September 23rd). The Canadian indie-pop duo treated fans to a performance of three brand new songs titled "I'm Not Your Hero", "Messed Up" and "I Was A Fool"; all of which will appear on their long-awaited new album (out January 2013). 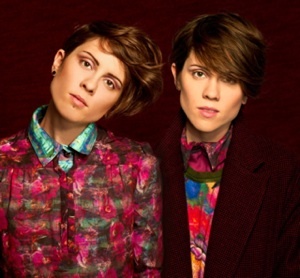 Check out fan-shot videos of Tegan and Sara performing all three songs, as well as the set list from the show, by clicking read more.